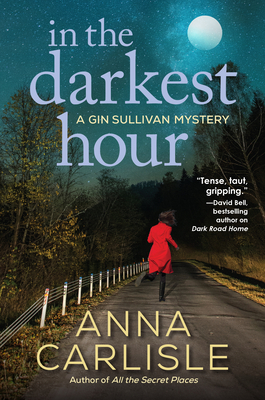 Anna Carlisle's third chilling Gin Sullivan mystery, is perfect for fans of small-town suspense and authors like Chevy Stevens, Lisa Jackson, and Julia Maynard. Small-town secrets don't stay buried for long, and no one know that better than former Chicago medical examiner Gin Sullivan. On extended leave from her job, Gin is back in her hometown of Trumbull, PA, settling into a quiet life with her old high school sweetheart, Jake Crosby. But the demons of Gin's past are lying in wait--and when Jake's estranged mother turns up dead in a local motel from a heroin overdose, life in Trumbull begins to unravel one thread at a time. Dead set on revenge against the dealer, Jake brings in local high school student Jonah Krischer to face justice. But Trumbull police chief Tuck Baxter has to contend with the boy's father, a prominent physician who threatens legal action over the unconventional arrest--even though Jonah admits to stealing his dad's prescription pad to sell phony opiate prescriptions for cash. And when Jonah offers to lead police to a body in exchange for leniency, the stiff turns out to be one of the doctor's own patients. Is there a killer on the loose in Trumbull? The race is on to find the truth in Anna Carlisle's In the Darkest Hour, the third hair-raising Gin Sullivan mystery. Anna Carlisle lives in Northern California, where she teaches writing. This is her third Gin Sullivan mystery.